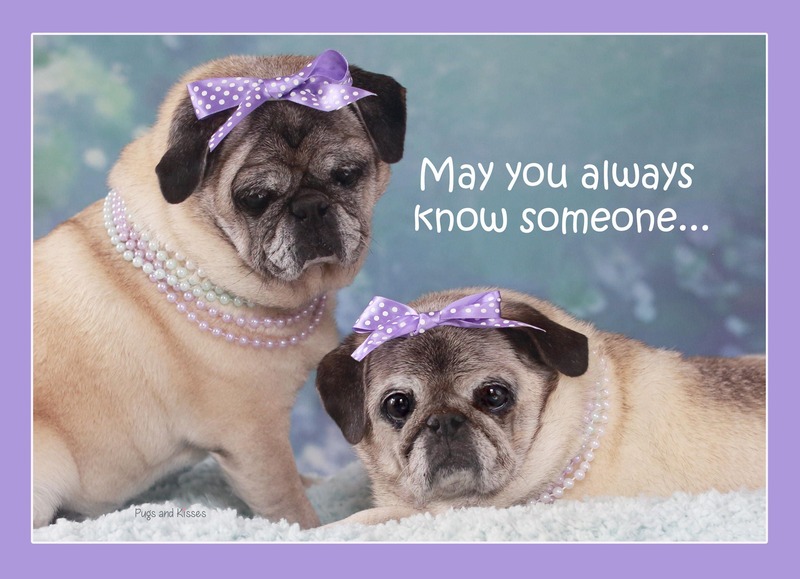 This item is one, "Someone Who Totally Gets You," Cute Friendship Card by Pugs and Kisses. 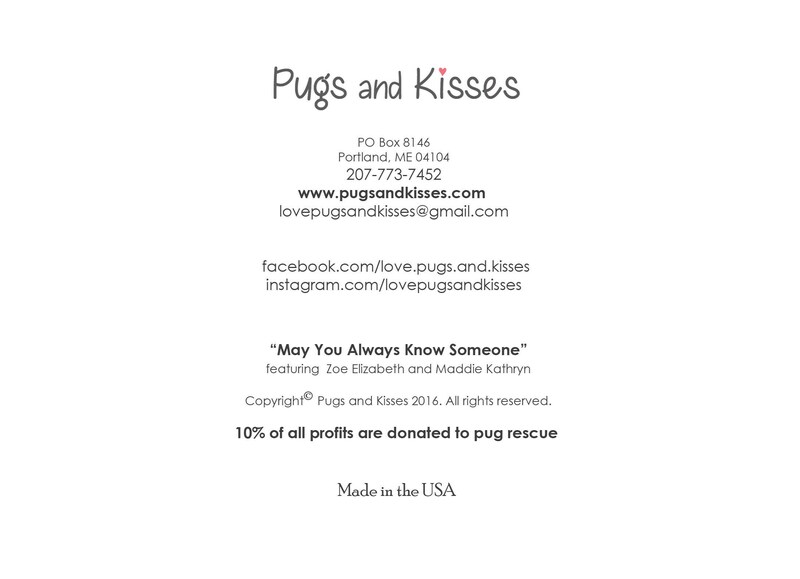 The front features a two adorable pug girls who are near and dear to one another. 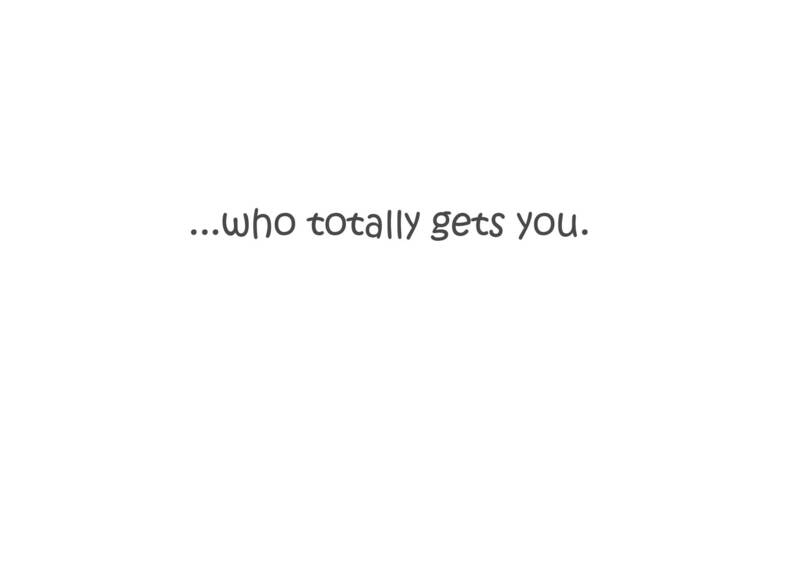 "May you always know someone..."
"... who totally gets you." 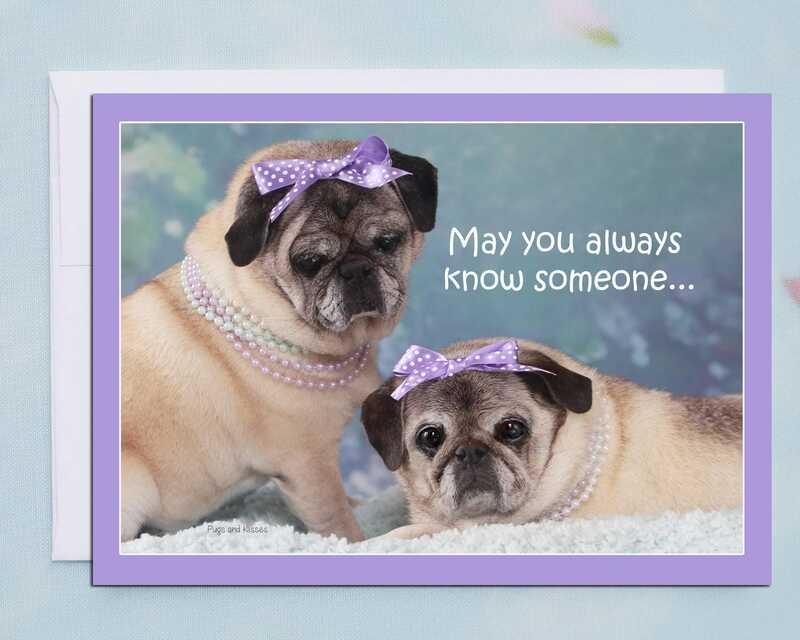 This card is sure to bring a smile to your someone special!